I had a momentary crisis yesterday when my blog went down for about 16 hours. I tried to fix something, and it went horribly wrong. Fortunately the good people over at Yahoo Small Business were able to bring it back. Because of that, I am able to share with you the card that I made for this week’s Friday Mashup, using the sketch below. I use the same stamp set as Heidi, but I chose a different stamp. I paired it with some of the great paper from the Adventure Bound Designer Series Paper Stack for a rugged outdoorsy look. 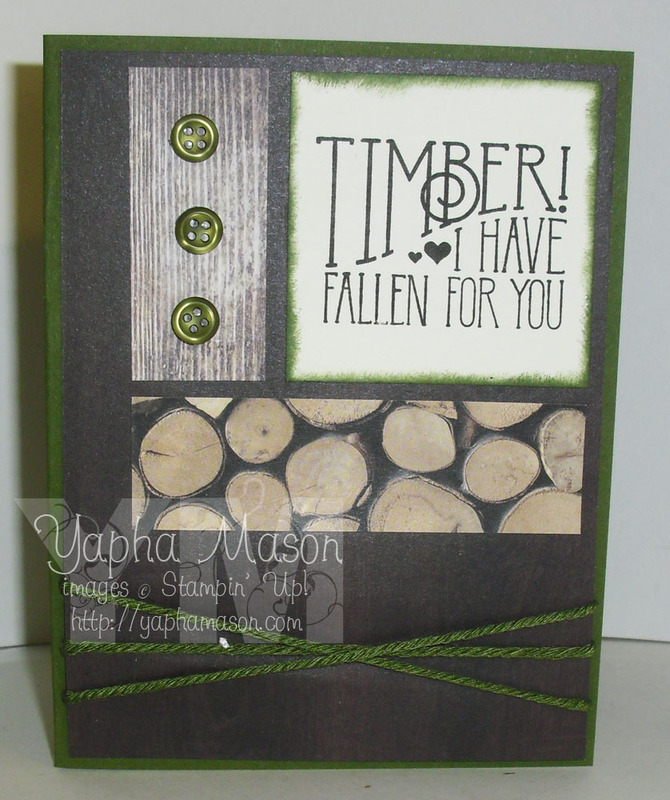 Stamps: Wood You Be Mine? 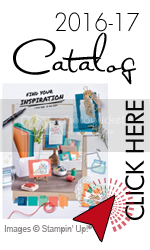 The twine and the buttons are part of the In Color Accessories pack which is available for just a few more days during Sale-a-Bration. 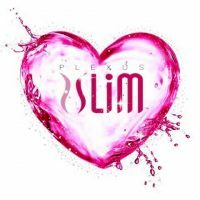 Don’t miss out on these! What a great guy card! Always looking for those. Great card!!! I love the Mossy Meadow buttons and twine…perfect for a masculine card! 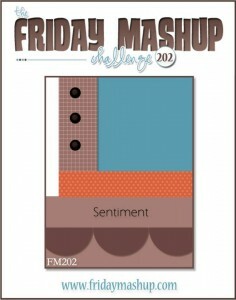 Thanks for joining us at Friday Mashup! I love this! Lots of interesting details, but still a clean design. 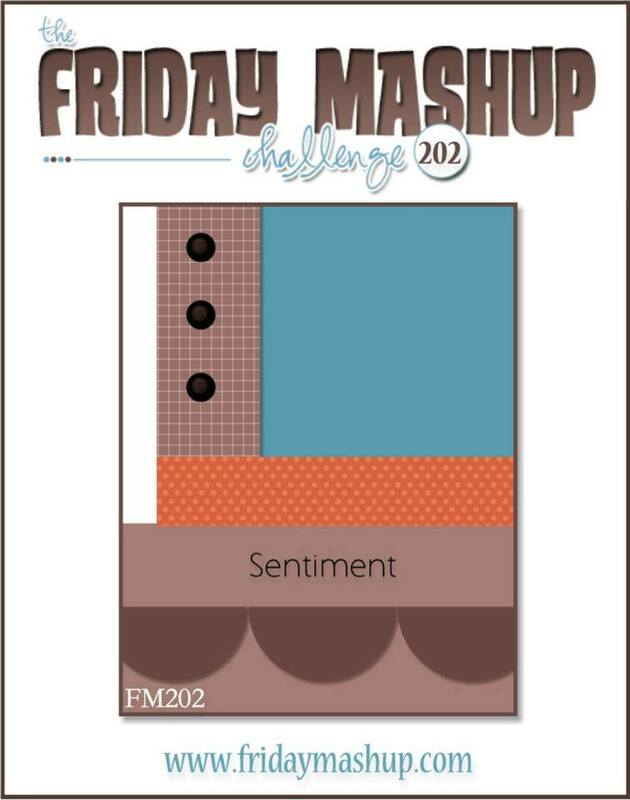 Thanks for joining us at the Friday Mashup!